This recipe for Philly Cheesesteak sliders with a Twist is simply amazing. 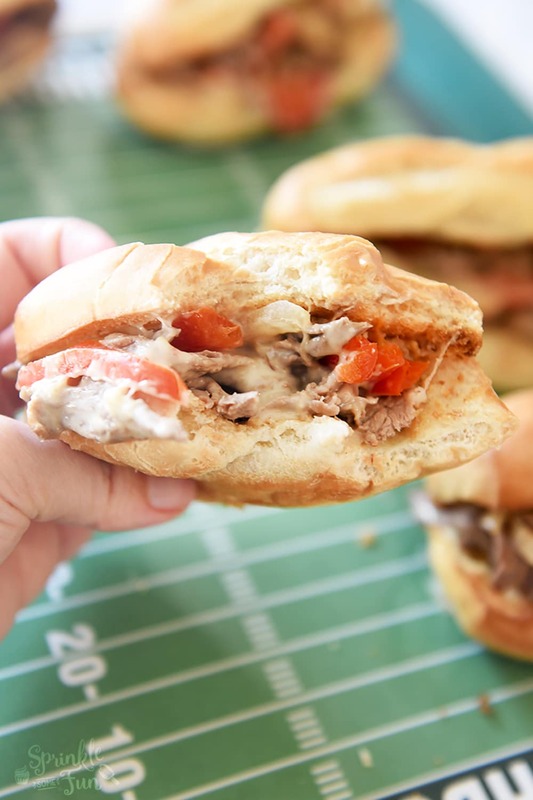 These sliders are the perfect game day food or an easy weeknight meal option. 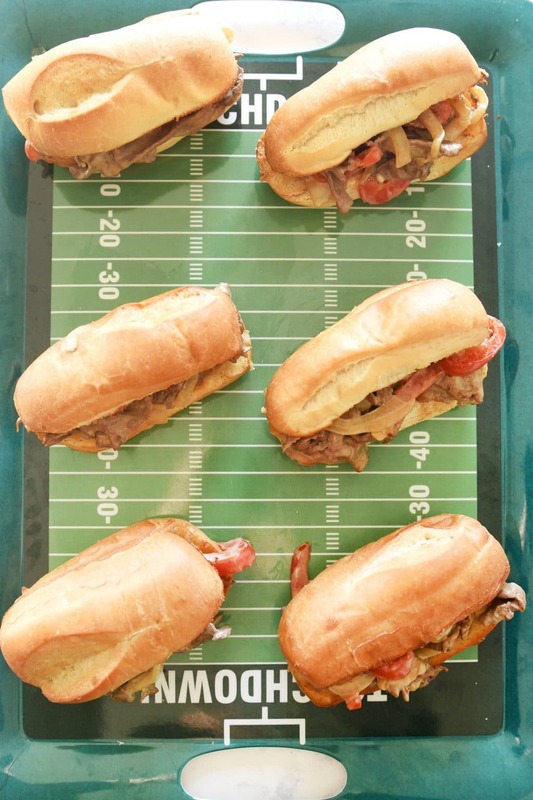 We loved the “twist” on these Philly Cheesesteak sliders which I share in the recipe. I think you will love this zesty twist too! Are you ready for some football? It’s getting close to the big game and we are prepping our household in advance. We can’t wait to chow down on all the delicious foods, watch the action and find out which commercials are the best! Game day parties are so fun to host because the food is simple and entertainment is taken care of! I like to change up the menu a bit every year to keep things fresh. These sliders start out with the classic flavors for a Philly Cheesesteak: onions, bell peppers, thin sliced steak and cheese! To make them slider sized I used steakhouse rolls and split them down the middle. Then for the twist I added a little spritz of oil and some garlic salt to the bread and toasted it. I also add a splash of soy sauce to the steak to give it just a little more flavor. They were one of the best sandwiches that I’ve ever had!!! 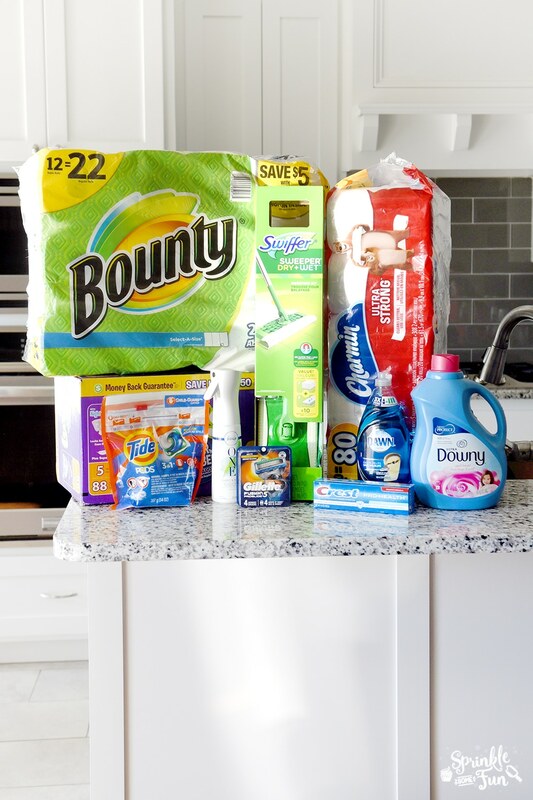 Other than serving amazing food at a game day party, I make sure to stock up on essential items to prep our house for the big game. You can see my big haul of essentials from Walmart for Luvs, Febreze, Tide, Gillette, Crest, Charmin, Downy, Swiffer, and Dawn. We are stocked up now and ready to go. 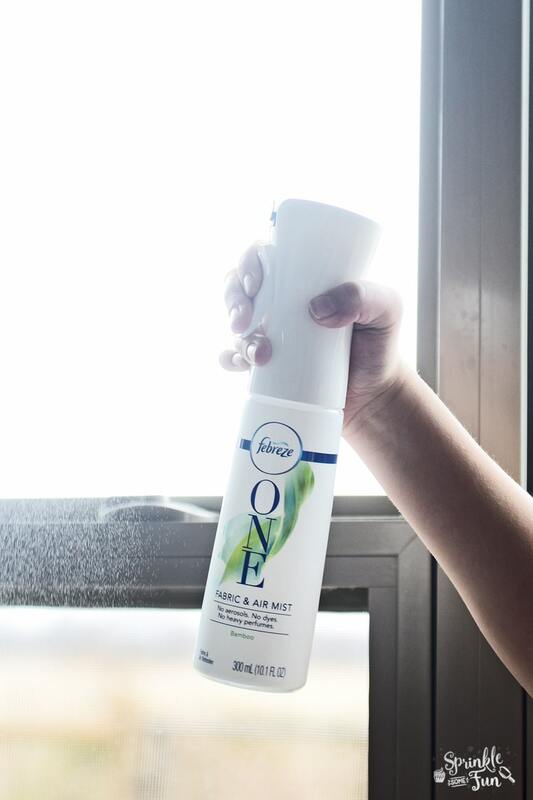 After stocking up on essentials, cleaning up the house and cooking all the food… we are ready for our guests to arrive! I know they will start to dig into the food right away and I can’t wait to see what everyone thinks about these sliders!!! YUM!! 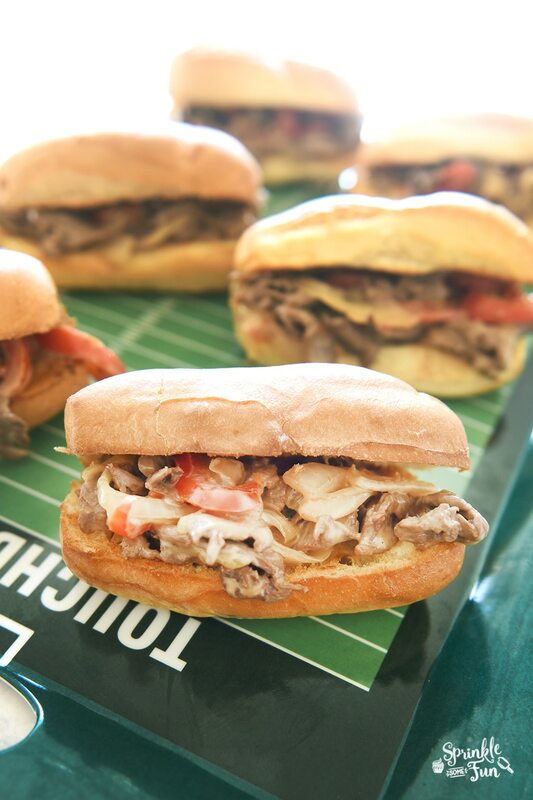 What recipes do you always have at your game day celebrations? I know these sliders need to happen again for us! Prepare two separate skillets with a touch of oil to coat them. Turn one on medium heat and add the onions and bell peppers. Saute' them until the onions are softened and starting to caramelize. In the other skillet heat to medium heat and add the beef. Cook the meat until browned but not seared. The goal of cooking cheesesteak beef is to cook it gently so that all the juices remain. Once the meat is cooked and browned add the soy sauce and stir. Add the onion mixture to the beef and add the cheese at the end. Once the cheese melts, turn off the heat and you can spoon mixture onto the bread. I toasted the bread by splitting apart the rolls and adding a little spray of olive oil and sprinkled some garlic salt in the middle (don't overdo this step or it will be too salty). Then I toasted until lighting browned. Put the sandwiches on your serving dish and ENJOY! 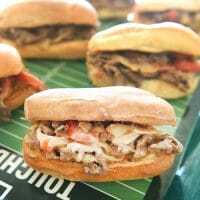 These Philly cheesesteaks sliders are amazing! I served them yesterday to my colleagues and they were blown away. Easy food with great taste, Thank you!